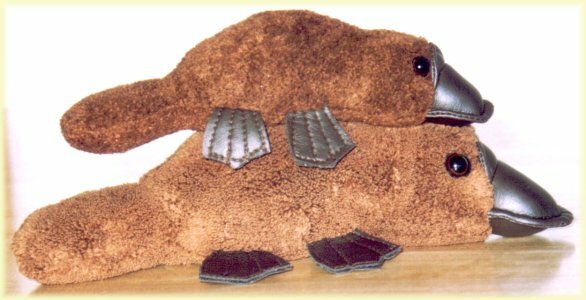 Platypus Gift Shop presents collection of Australian platypus themed gift items for platypus fans around the World. 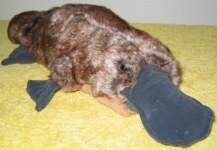 Size from tail tip to the duck bill tip is 8 1/2 inch. 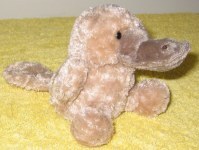 This superior quality soft toy of a duck billed platypus is from Aussie Pal series of small toys. plain pewter and pewter with enamel decoration (front side resin coated).